UK men's basketball game in Rupp Arena. Photo by UK Athletics. 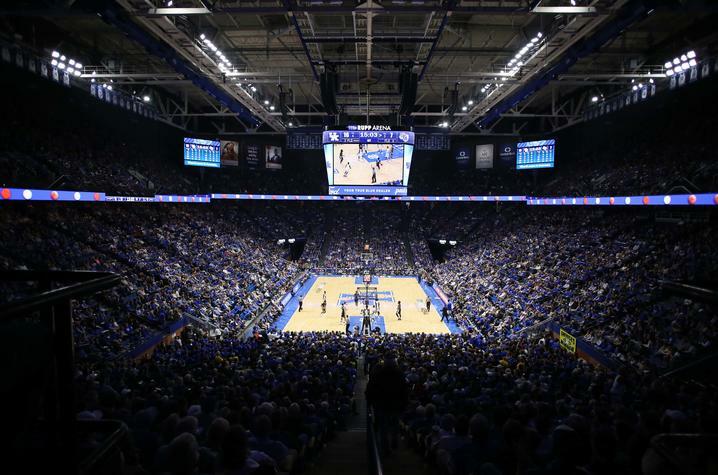 LEXINGTON, Ky. (Nov. 1, 2018) — Are you ready for another exciting season of University of Kentucky men’s basketball? John Calipari’s Wildcats are ranked No. 2 in the preseason and primed to add to the greatest tradition in college basketball. Tennessee State University (7 p.m. Friday, Nov. 23) - $35 (regularly $50). These 200-level tickets are available exclusively online by using the offer code DREAMBIG at Ticketmaster.com. This offer ends at 11:59 p.m. ET the night prior to each game and is not available by phone. See you in Rupp Arena!